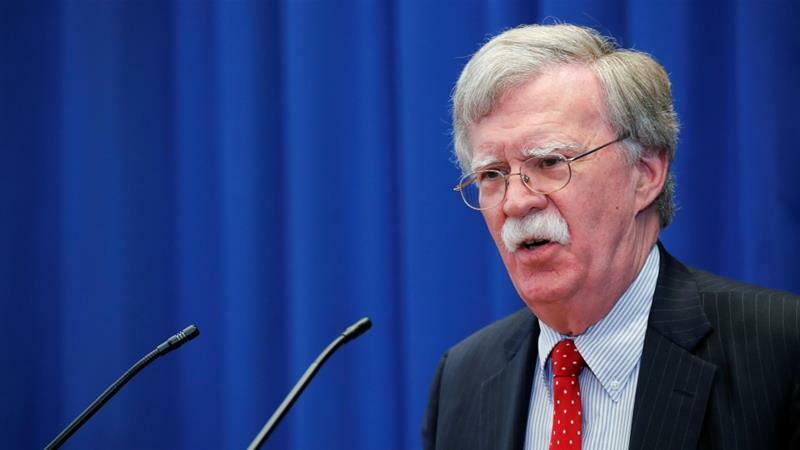 In 2003, John Bolton stated that the United States would not subject its actions to the constraints of the ICC. More than a decade later, the US still opposes any ICC sanctions against itself or its allies. In this chapter from The WikiLeaks Files, Linda Pearson explains how "elite immunity" ensures that many of those responsible for human rights abuses remain unreachable under international law. The WikiLeaks cables reveal evidence of war crimes and human rights abuses carried out at the behest of the US government. They also show the lengths to which the administration of George W. Bush was prepared to go to ensure that those responsible for such crimes would remain unreachable under international law. The US government has for decades demanded that US military personnel be tried in the US, under US law, for any crimes committed overseas. “Status of forces” agreements between the US and other nations generally include such provisions. When states are “unwilling or unable” to prosecute individuals alleged to have committed such crimes, the International Criminal Court (ICC) can offer another avenue for justice. The court was established in 2002 by the Rome Statute, an international treaty that has been rati ed by 122 countries. It has jurisdiction to investigate individuals for war crimes, crimes against humanity, and the crime of genocide. During the 1998 conference of 160 nations that formulated the Rome Statute, US negotiators sought to limit the ICC’s juris- diction and its independence. A large number of states wanted the court to have “universal jurisdiction”—that is, the power to prosecute crimes committed anywhere. But US opposition forced a compromise: the ICC only has jurisdiction over crimes com- mitted by an individual of a state, or on the territory of a state, which is a party to the Rome Statute. The US also wanted the United Nations Security Council (UNSC) to have the power to veto prosecutions, effectively giving the US the power to prevent cases proceeding against its citizens. This was rejected by other nations at the Rome confer- ence. Instead, the ICC’s prosecutor, who is elected by the member states, has the final say on which cases will be prosecuted. In May 2002, Clinton’s successor, George W. Bush, formally “unsigned” the treaty. His under secretary of state for arms control and international security, John Bolton, summed up the Bush administration’s opposition to the court when he said in 2003: “Whether it is removing a rogue Iraqi regime and replacing it, preventing WMD proliferation, or protecting Americans against an unaccountable Court, the United States will ... follow its values when measuring the legitimacy of its actions.”6 In other words, the United States will not subject its actions to the constraints of international law, nor the jurisdiction of a court it cannot control through the UNSC. The effect of Bush’s “unsigning” was to exclude US nationals from the jurisdiction of the ICC unless their alleged crimes were committed on the territory of a state that was a party to the Rome Statute. Even where it has jurisdiction, the chances that the ICC would ever indict a US national are remote, as the court depends on the financial and political support of the West. In its thirteen-year history, the court has indicted only Africans. Moreover, without its own police force, the court depends on the cooperation of governments to detain and extradite individuals who it indicts. It is unthinkable that any US government would surrender one of its nationals to the ICC. Nevertheless, members of the Bush administration wanted to eliminate any possibility that they might one day nd them- selves at The Hague. In August 2002, Bush enacted the American Service-Members’ Protection Act (ASPA), which authorized the US president to use “all means necessary” to free a US national detained by the ICC. ASPA—or the “Hague Invasion Act,” as it become known—also banned military aid to countries that had ratified the Rome Statute. For other states that had signed the Rome Statute, the only way to avoid the sanctions was to sign an “Article 98,” or bilat- eral immunity agreement with the US, by which they agreed not to surrender Americans to the ICC without the consent of the US government. Other governments told the US that, while they were willing to sign, they would not be able to secure parliamentary approval for an Article 98 agreement because of the ongoing war in Iraq— particularly after the 2004 publication of photographs of US soldiers abusing Iraqis at Abu Ghraib prison. As cables from Bahrain and Paraguay illustrate, the relentless push for Article 98 agreements threatened to undermine the broader strategic objectives of the United States, leading some diplomats to advise that Washington reconsider the policy. The government of Bahrain had signed a secret Article 98 agreement with the United States in February 2003. In May 2004, a cable from the US embassy in Manama reported that only five officials at the Bahraini Foreign Ministry knew of the agreement’s existence.18 Both the US embassy and the Bahraini government judged that the agreement would be rejected by Bahrain’s parliament if submitted for ratification. The Bahraini government was facing increasing opposition to its pro-US policies—and the publication of the Abu Ghraib pictures made news of a secret immunity agreement all the more incendiary. The May 2004 cable reported that a Bahraini government official had told the US: “Given the Abu Ghraib revelations in Iraq ... the [government of Bahrain] has no desire whatsoever to notify parliament or the public of the existence of the article 98 agreement.” A cable from June 2004 said the king of Bahrain had promised to bring the agreement into force, but that Bahrain’s foreign minister was “struggling to nd a way to carry this out without causing a political explosion.”19 The United States there- fore pushed for the agreement to be brought into force “through a secret exchange of notes”—an executive agreement that would not seek parliamentary approval. This was something neither the repressive Bahraini regime nor its powerful US backer wanted to see. Neumann expressed concern that “all of this focus on the security relationship would tempt political opponents to try to expand the debate to other ‘surrenders’ of Bahrain rights, in such matters as the Defense Cooperation Agreement.” This agreement, signed by the United States and Bahrain in 1991, gives the US military access to Bahrain’s military bases. The US Navy’s Fifth Fleet has been stationed in Bahrain since 1995, and Bahrain is home to the US Naval Forces Central Command. In 2002, the Defense Cooperation Agreement was secretly extended by the Bush administration until 2016.24 The risk, from the ambassador’s point of view, was that news of the secret Article 98 agreement could bring unwelcome attention to the secretly extended Defense Cooperation Agreement. The experience of other US allies in the region showed that Article 98 agreements would not pass easily. When Kuwait’s agreement was submitted for ratification in April 2007, a cable reported that “parliamentarians objected strongly.”25 The cable reported that opponents of the agreement had said it was in violation of Kuwait’s ICC obligations, and would place the United States “above the law.” Others compared the treatment of US nationals under the agreement to the detention and alleged torture of Kuwaiti citizens held at Guantánamo prison, and argued that Kuwait should not bow to US bullying. US diplomats faced a similar dilemma in Paraguay. They believed the pursuit of an Article 98 agreement threatened the “permissive environment” that Paraguay offered for US military exercises. Like Bahrain, Paraguay’s government told the United States that its congress would not pass an Article 98 agreement. Paraguay was subject to sanctions for failing to sign an Article 98 agreement, but in 2006 President Bush waived the restrictions on the grounds that it was “important to the national interest of the United States” to do so. The CRS report noted Secretary of State Condoleezza Rice’s March 2006 comment that implementing ASPA sanctions against US allies in the “war on terror” and the “war on drugs” was “sort of the same as shooting ourselves in the foot,” also noting the concern of some US policy-makers that the sanctions were reducing US influence in the region, as affected states looked to other countries—such as China and Russia—for military training and assistance. This conflict of interests is further detailed in US diplomatic cables. In Brazil, the US embassy was concerned that IMET restrictions had meant that the country’s Ministry of Defence was “shifting to other countries for training and exchanges previously done with the US.” A March 2004 cable reported: “While France and the United Kingdom have picked up much of the slack, Brazilian officers, according to military sources, are now being sent also to training programs in China, India, and South Africa.”37 As well as weakening “traditionally close ties between our two armed forces,” the cable reported that the sanctions were prejudicing US weapons manufacturer Lockheed Martin’s prospects of winning a contract from Brazil for new F-16 fighter jets worth $700 million. The cable noted: “When a decision on purchase of Brazil’s next generation fighter jet ... is finally taken, training for pilots will likely be in the country of origin of the new aircraft.” With such training prohibited in the US, Brazil might look to buy the jets from another country. In 2006, Bush also waived IMET restrictions against Brazil on national interest grounds. In the end, Chile avoided ICC-related sanctions by delaying the ratification of the Rome Statute until 2009, by which time the Bush administration had abandoned the measures. Ecuador’s refusal to sign an Article 98 agreement rendered it subject to sanctions. Cables from Quito detail the variety of underhanded tactics employed by the US embassy to persuade Ecuador to sign. They also show that the embassy was concerned about the “unintended consequences” of ICC-related sanctions for other US policy objectives in Ecuador. In September 2005, the new US ambassador to Ecuador, Linda Jewell, reiterated the embassy’s concerns about an unintended loss of US influence in Ecuador, in a cable titled: “Democracy Promotion Strategies for Ecuador.”48 As this cable illustrates, so- called “democracy promotion” is a strategy by which Western governments seek to influence and contain political and eco- nomic change in countries of strategic importance. In Ecuador, the US wanted to counteract the influence of Latin America’s burgeoning social movements. Demanding democratic reforms and an economic alternative to the Washington consensus, these movements had brought left-wing leaders to power in Venezuela, Bolivia, and Uruguay. The embassy feared that the “pink tide” would engulf Ecuador, damaging US business interests in the country and dashing any hopes of negotiating a free-trade agreement. Moreover, the Ecuadorians who had mobilized against Gutiérrez were calling for an end to US interference in Ecuador and closure of the US Forward Operating Base at Manta. In late 2006, Bush waived the military and economic sanctions against Ecuador on national-interest grounds. But the embassy’s “democracy promotion” efforts failed to prevent the election that year of “dark horse populist, anti-American candidate”49 Raphael Correa, who has taken Ecuador in a very different direction to the one preferred by the US. A New Era of Engagement with the ICC? ICC-related sanctions were impeding cooperation between the United States and other states in the “war on terror” and the “war on drugs,” and costing the US military and political influence. As the Congressional Research Service reported in 2007,50 these unintended consequences had led the Bush administration to rethink the policy, and the sanctions were gradually abandoned. By January 2008, all the provisions prohibiting military aid to countries that had refused to sign Article 98 agreements had been removed from ASPA Act. The Nethercutt Amendment was dropped in 2009, so that ESF assistance could be restored to countries that had failed to sign. Actions taken by the Obama administration have led to hopes that the US is embarking on a new era of engagement with the ICC. The US began sending delegations of observers to sessions of the Rome Statute’s Assembly of States Parties in 2009. In 2011, it voted in favor of a UNSC resolution referring the situation in Libya to the ICC—the first time it had approved a UNSC referral to the Court. In 2013, when ICC indictee and M23 leader Bosco Ntaganda surrendered to the US embassy in Kigali, the United States arranged for him to be extradited to The Hague, even though it was not legally obligated to do so. In the same year, the US Congress voted to extend the US Rewards for Justice program, which offers substantial cash rewards for information leading to the arrest of terrorism suspects, to individuals indicted by the ICC. While these developments and other instances of cooperation between the United States and the ICC suggest a greater acceptance of the role of the court in bringing war criminals to justice, the likelihood that the US will ratify the Rome Statute has remained remote during Obama’s terms of office. Moreover, rather than offering principled support for the Court, cooperation with the ICC has been selectively undertaken when the administration has believed that it will further US interests. However, in December 2014, after a resolution calling for the establishment of a Palestinian state failed at the UNSC, Abbas submitted an application for Palestinian membership of the ICC. In early January 2015, UN Secretary-General Ban Ki-moon announced that Palestine’s membership would take effect from April 1, and alleged Israeli crimes committed after June 13, 2014, were thereby brought under the Court’s jurisdiction. The Obama administration condemned the Palestinian application as counterproductive, maintaining the US position that Palestine is not a sovereign state and is therefore not eligible to join the ICC. Israel retaliated by announcing that it would withhold $127 million in tax revenues due to the Palestinian Authority. In short, while the Obama administration’s limited cooperation with the ICC may have improved the international image of the United States, it does not represent a genuine embrace of the Court and its mandate. Taken as a whole, Obama’s actions show that the US is still committed to the double-standard that US enemies should be subject to the dictates of international law, while the United States and its allies should not. Lesley Wroughton, “US, Afghans Agree Most of Pact, Elders to Make Final Decision,” Reuters, October 13, 2013, at reuters.com. Josh Dougherty, “When Victimless Crimes Matter and Victims Don’t: The Trial of Bradley Manning,” Iraq Body Count, August 2, 2013, at iraqbodycount.org. Glen Greenwald, With Liberty and Justice for Some: How the Law is Used to Destroy Equality and Protect the Powerful(New York: Metropolitan, 2011). White House, “Statement of President Barack Obama on Release of OLC Memos,” April 16, 2009, at whitehouse.gov. White House, “Statement by the President Report of the Senate Select Committee on Intelligence,” December 9, 2014, at whitehouse.gov. John R. Bolton, “‘Legitimacy’ in International Affairs: The American Perspective in Theory and Operation,” November 13, 2003, at 2001-2009.state.gov, cited in Erna Paris, The Sun Climbs Slow: The International Criminal Court and the Struggle for Justice(New York: Seven Stories Press, 2009), p. 79. Ian Traynor, “East Europeans Torn on the Rack by International Court Row,” Guardian, August 17, 2002, cited in Paris, The Sun Climbs Slow, p. 70. Institute for the Study of Human Rights, “US & ICC: Bilateral Immunity Agreement Campaign: Reaction to BIAs,” n.d., at amicc.org. Anna Fifield and Camilla Hall, “US and Bahrain Secretly Extend Defence Deal,” Financial Times, September 1, 2011. Elise Keppler, “The United States and the International Criminal Court: The Bush Administration’s Approach and a Way Forward Under the Obama Adm,” Human Rights Watch, August 2, 2009, at hrw.org. Council on Hemispheric Affairs, “Costa Rica’s Fateful Move: San José Expands Its Role in US-Led Counter-Narcotics Efforts,” August 4, 2010, at coha.org. Glenn Greenwald, “US Continues Bush Policy of Opposing ICC Prosecutions,” Salon, February 28, 2011, at salon.com. Colum Lynch, “Exclusive: US to Support ICC War Crimes Prosecution in Syria,” Foreign Policy, May 7, 2011, at foreignpolicy.com. Jeff Rathke, “Statement on ICC Prosecutor’s Decision,” Press Statement, US Department of State, January 16, 2015, at state.gov. Allyn Fisher-Ilan, “US Senator Threatens Aid Cut to Palestinians Over ICC Move,” Reuters, January 19, 2015, at reuters.com. This article is featured in the volume The WikiLeaks Files, out now on Verso.